I have achieved Pumpkin Pi. This pumpkin weighs in at 3.14 kilos. Pumpkin Pi. The variety is Galeuse d'Eysines from Real Seeds. It's slowly developing the funny warts that this variety develops in storage. I have big plans for my Pumpkin Pi. Oddly enough, not pumpkin pie. Nah, I love it roasted, and in pumpkin risotto. 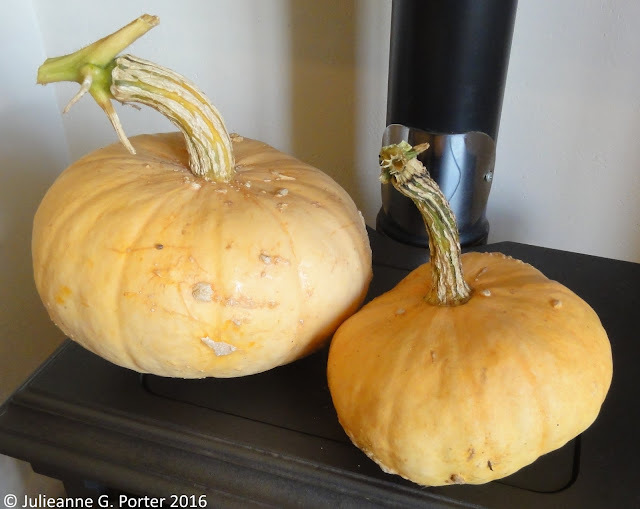 And the smaller one (only 1.11kg) will grace the pumpkin & carrot curry that Kevin is making this weekend. 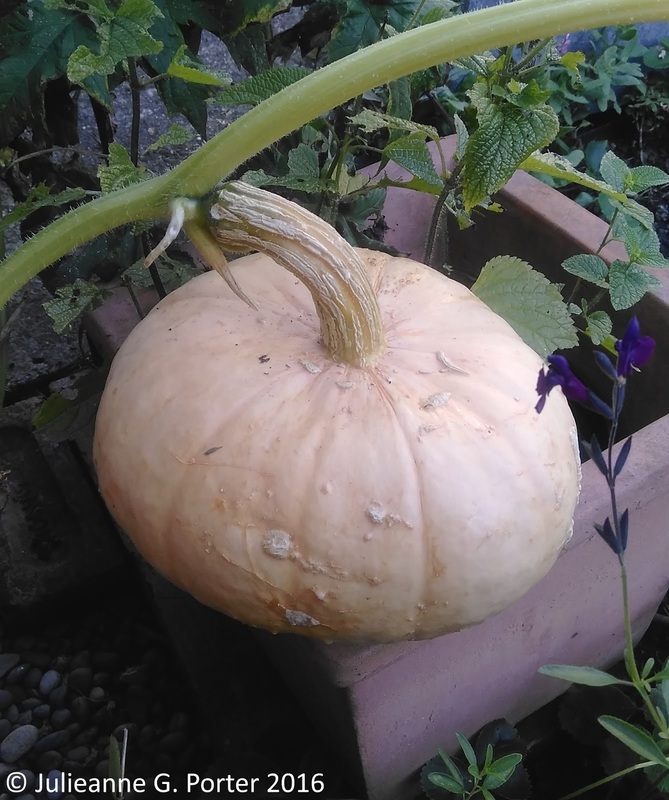 Update 18th October 2016: From this one pumpkin I've managed to make Pumpkin Risotto for 2 people for 2 nights, and Pumpkin & Carrot Soup for 2 people for 7 nights. Not bad Pumpkin Pi! that's a lot of soup! 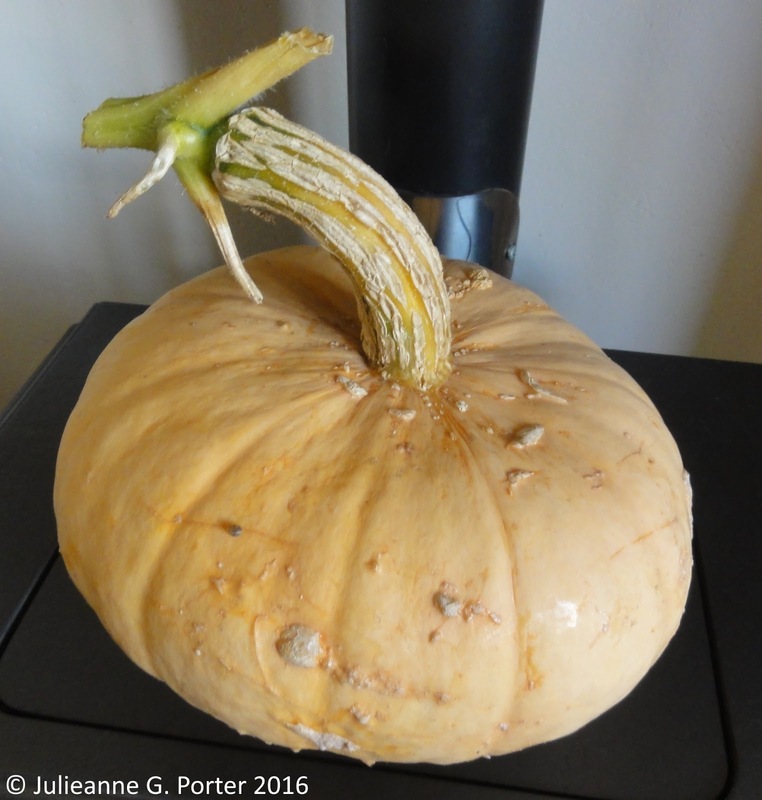 I often find pumpkin a bit of a disappointment in terms of taste. What's this variety like? I only got around to cooking with it today. It has a nutty flavour and it worked really well in Risotto and Pumpkin & Carrot Soup. So I would grow again, though I'm focusing on only small pumpkins next year as I want to experiment with growing them more.